Daisy Opens a World of Wonder! There’s nothing like a good book! Arthur is a beautiful Angora goat whose new owner is moving and has to find Arthur a new home. His new owner teaches Arthur to talk. Based on a real goat, Arthur’s home is at Bethlehem Retreat Farm in beautiful southwestern Virginia. He has a great personality and is a delight to everyone who sees him. Bethlehem Retreat is a part of the House of Bethlehem Ministry & Missions, International. Lots of birds, rabbits, squirrels, llamas, chickens, deer, and other wild animals can be seen on the farm. 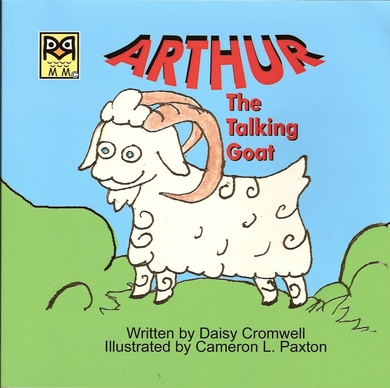 Be sure to look for the first book in the series, “Arthur the talking Goat”. Arthur lives on a farm with his owners, Sam and Sally. Sam taught Arthur to talk but Arthur was still very sad because he had no animal friends. 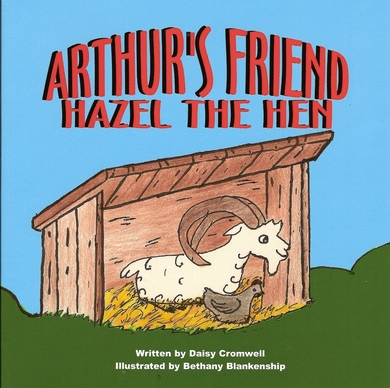 This book is about how a chicken, named Hazel the Hen, becomes Arthur’s friend. Arthur and Hazel were real animals on the Bethlehem Retreat Farm in beautiful southwestern VA. Llamas and lots of other animals can be seen on the farm. Bethlehem Retreat is a part of the House of Bethlehem Ministry & Missions, International. 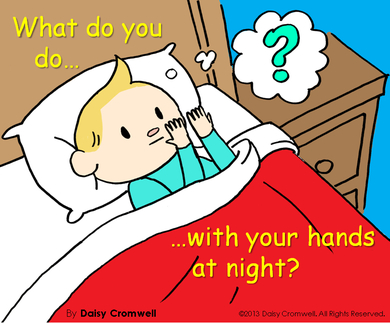 Have you ever gone to sleep at night with your hands in one position, woke up with them in a totally different position, and wondered how they got there? This rhyming children’s bedtime story asks very important questions that will start young minds thinking. This delightful book will provide young children many happy moments before going to bed, as they decide what they will do with their little hands at night. Copyright © 2019 Daisy Cromwell. All Rights Reserved.